Each year, Technomicians join hands in volunteering at the Army 10 Miler, a popular running event in the Washington DC and Arlington areas. This year we continued this great tradition. Technomics gathered a group of volunteers to pass out water and Gatorade to athletes along the race course. In between distributing water cups, volunteers also had the opportunity to cheer on the athletes completing the race, many of whom are U.S. Service Members, Wounded Warriors, or Wheelchair athletes. Rachael Pascale, Lead Analyst, Technomics, Inc.
On October 26th, Technomics relaunched its Community Service program to give Technomicians a preview of what opportunities are coming in the near future. This relaunch was informed by surveys and brainstorming sessions in which employee-owners contributed their ideas as to which service opportunities could be the most accessible and have the strongest impact. New community outreach has been focused on a particular cause: developing young minds in the community. In addition to giving back to the community, we hope these changes will foster a spirit of servant leadership and make Technomics a more visible part of the community. Tutoring and assisting with STEM programs in local schools like the National Society of Black Engineers Jr. (NSBE Jr.) allows us to pay forward the invaluable experiences we received during our own education. What better way to thank our past servant leaders than by becoming servant leaders ourselves! We hope to participate in mentorship opportunities, coach math and science competition teams, fundraise to help purchase STEM equipment for afterschool programs, and provide career/college advice for at-risk students. Our hope is that through these efforts, some of these students may decide to pursue a fruitful career in a STEM field that quenches their curiosity and bolsters their future success. Alec Morris, Senior Associate, Technomics, Inc.
Alongside supporting this initiative, we hope to show our gratitude to our local community by continuing to participate in future events. 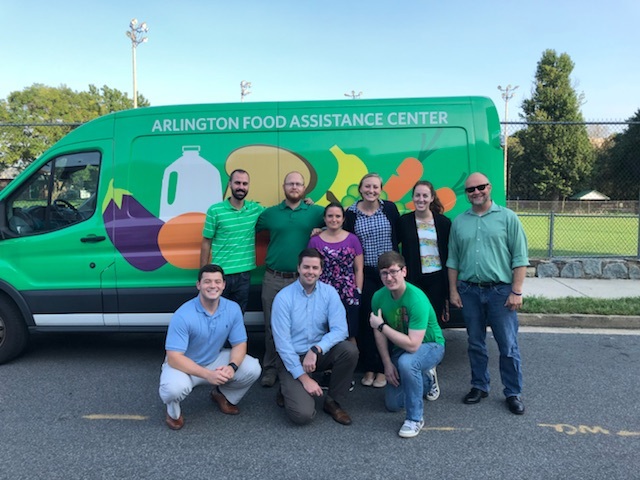 On November 14th, some Technomicians visited AFAC to continue our long-sanding partnership there, packaging food that will be handed out to families in need within the Arlington area. In December, we are thrilled to be able to partner with Wreaths Across America to donate and place wreaths at Arlington National Cemetery for our fallen heroes. Technomics also “adopted” 20 children via the Salvation Army’s Angel Tree program . Through this program, we will donate toys from specific children’s wish lists so that they have special gifts to open for the holidays. Other upcoming service opportunities include serving in soup kitchens, partnering with the Wounded Warrior Project, and planting trees throughout the area.